A 401(k) is literally free money that piles up and earns more for you year after year. Set it up once, so you can retire earlier & live better when you do. How would you like free money? That’s not a trick question. For millions of people, free money is up for grabs right now. But they leave it on the table with every paycheck. I’m talking about your 401(k). Now before you roll your eyes and say, “Yeah, yeah…I know,” I want to show you that this isn’t just a boring retirement account you stuff money into until you’re old. A 401(k) is one of the best investments. It’s literally free money that piles up and earns more for you year after year. Set it up once, and you can retire earlier and live better when you do. But before we get into the specifics of how a 401(k) works — and how you can take advantage of it — let’s talk about retirement accounts in general. Retirement accounts offer huge benefits because you are agreeing to save over the long-term. To show you what I mean, we need to first look at your typical paycheck. Say you get $100 for work you did. Before you even see a single cent, Uncle Sam takes his cut, and you get whatever is left over. Let’s keep everything simple and ignore state and local taxes for now. $70 is your post-tax money. This is what you have left to live off of, pay bills, and, if you’re lucky, invest. But here’s the double whammy: If you make any returns on your investments with this money, you’re required to pay even more taxes. It’s a constant push-pull battle that’s hard to win. You keep making money. Uncle Sam keeps taking a chunk of it. Continuing with the same example, let’s say you put $35 of your post-tax money in an investment account and it returns $10. If the tax rate on investment gains is 20%, you would have to cough up $2 to Uncle Sam. That leaves you with only $8. So you end up making $78 total here. And you pay $32 in taxes. Now, let’s compare that to how a 401(k) works. With a 401(k), you can still invest in the same things as a regular account, but the difference is how it’s taxed. It’s all based on pre-tax income. That means you get first dibs on any cash before Uncle Sam can touch it. So if we use the same example as above where you earned $100, you can invest the $35 before the government can legally touch it. But it gets even better. The same $10 you make on your investment doesn’t get taxed at all. And if you keep making $10, year after year, the money keeps piling up without you having to pay a cent. The caveat: You can’t withdraw this money until you turn 59 ½ years old. Doing so carries stiff penalties. When you turn 59 ½ years old and you start taking the money out, that’s when you’ll pay taxes on it, depending on what bracket you’re in. So investing in a 401(k) does cut your post-tax money, but it’s not as bad as it seems. You’ve already put $35 away. That money is 100% yours and earning investment returns. It’s like making money while you sleep. You also end up saving more on taxes. Since you’ve socked away $35 of your pre-tax income, according to Uncle Sam, you now make $65 instead of $100. So you pay a lower income tax rate. You come out way ahead: $52 (paycheck you get) + $35 (amount in investment account invested pre-tax) + $10 (investments gains) = $97 total to your name. And you only pay $13 in taxes. That’s a 40% tax savings from investing in a regular account! And because money keeps compounding without getting hit with constant taxes, the difference over a 30-year period could mean an extra 50% in your pocket thanks to compound interest. And this is all because you invested your pre-tax income. Now do you see why I say these tax advantages really add up? My favorite part: You don’t have to do any extra work to reap these rewards. You can have the same investments in both accounts. But with one, you’ll end up with a lot more money. Let me show you another added feature that makes 401(k)s even more irresistible. This is where things really start to get interesting. Depending on your company’s policies, they might offer a 401(k) match program. This is very common. And it’s pure gold. For example, if your employer offers a 100% match up to $2,000, that means your company will match your investments — dollar-for-dollar — up to $2,000. If they offer a 50% match, they’ll put $1,000 into your investment account on the same $2,000. So you end up investing $3,000 total. And it’s all done on a pre-tax basis. So you reap all the rewards from the previous section, except you’re getting free money on top of it. BOOM. You absolutely, unquestionably need to participate in this if your employer offers a 401(k) match program. I don’t care what kind of expenses or debt you have, this is something you MUST take advantage of. One quick note about the investments: In case you’re wondering what happens to the money you contribute to your 401(k), let me briefly explain. Basically it goes into an investment account where a professional investment company will manage it. You’ll have a bunch of different investment options to choose from. For example, you can choose aggressive funds, mixed funds, and target date funds. These sound complicated, but each option is pretty straightforward. And your employer will give you a packet that explains the benefits and risks of each one. It’s much easier than you’d think, especially if you pick a target date fund (my recommendation). These funds automatically rebalance your portfolio over time. What that means is that you’re invested in aggressive funds during your younger, higher-earning years because that’s when you have more tolerance for market swings. Then as you age, your portfolio automatically rebalances to more conservative investments. This protects any investment gains you’ve made in your earlier years. So you won’t sweat it as you near retirement. The best part is that you don’t have to fiddle with anything. While 401(k)s have some awesome tax advantages, they aren’t tax-free. There are a few restrictions that I want you to be aware of before you hop on the phone with HR. You’re currently (in 2019) limited to putting $19,000/year into your 401(k). This is important: You’ll be charged a big penalty of 10% if you withdraw your money before you’re 59 ½ years old. This is intentional: This money is for your retirement, not to go out drinking on Saturday. Those are just a few important things to remember before you open your account. Most companies give you paperwork to fill out on your first day or after a certain number of months with them. You fill out your contact information and direct deposit. There should also be a form to elect how much you want to contribute to your 401(k). If you missed this, call up your HR representative. Next, think through how much money you want to put into your plan. I recommend doing as much as your company matches, which is typically around 3-6% of your income. But 5% of your income is a good place to start and what I recommend in my book. In a lot of cases, you won’t even notice the money is gone because it’ll come out of your check automatically each month. And since you don’t have to think about it, it’ll always get done. It really is that easy, but you have to take action on this right now to reap the rewards later in life. There’s a ton to cover here about making the most out of these accounts. 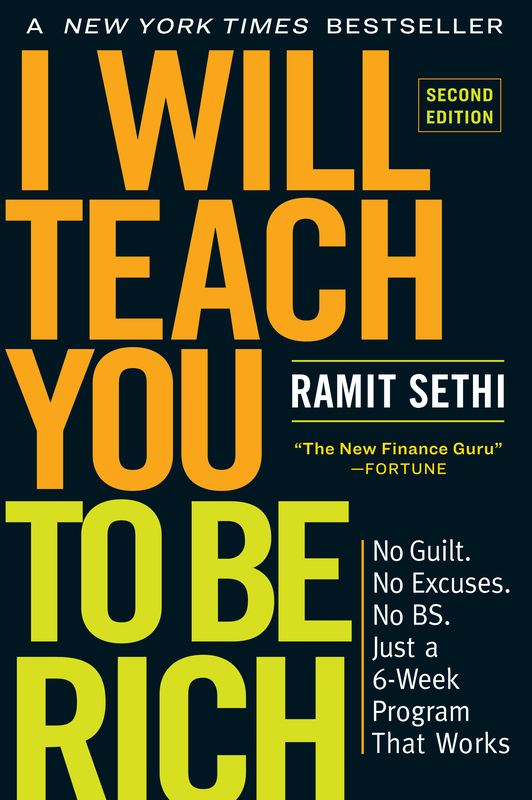 I go into even more detail in Chapter 7 of my New York Times best-selling book, I Will Teach You To Be Rich. You can get the entire chapter, free, below. In it, I cover the nitty-gritty of maintaining your investment accounts, asset allocation, and rebalancing your portfolio to maximize returns. Yes, send me the free chapter!